Home Community News Stackables/Skill Changes! Fixed a couple bugs with Fletching. Fixed a bug with Slayer Teleports in the Skill Menu. Fixed a couple bugs with the error logger for the client. 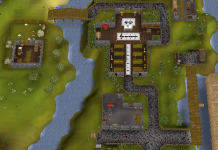 Fixed a bug with the Warriors Guild. Fixed a bug with some of the Pets still having their old global menus. Fixed a bug with the client and the NPC drops context menu. Fixed a few game breaking bugs. Fixed a few grammar and spelling errors, plus a few random visual issues with icons. Fixed a bug with the Login Menu sometimes not properly displaying the player count on first boot. Fixed a bug with the Group Slayer system causing confusion while starting it. Fixed a bug with Group Slayer not properly ending the task between the party members. Fixed using Bars on certain anvils such as in LDZ. 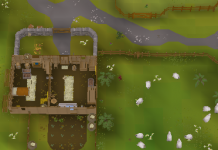 Fixed the incorrect map icon at Lumbridge. Fixed a bug with stackable grimy herbs when cleaning. Fixed a bug with stackable clean herbs when adding them to vials of water. Fixed cannonball smelting and Blurite/Lovakite smelting. Fixed a couple game critical bugs and redid our emergency JVM-error system. Fixed a couple bugs with Chinchompas. Fixed a bug with Hunter trapping eventually nulling out. Fixed quite a few bugs with stackable skilling materials. Fixed a bug with multi combat spells effecting the rocky support in inferno. Fixed a bug with BGS bugging out certain NPCs. Fixed being able to cut trees after they were cut down. Fixed a couple bugs with sometimes not being able to interact with certain NPCs. Fixed a couple bug with the Highscores. Added the rest of the NPCs at Rev Caves. Added Uncut Gem prices to correlate to Cut Gem prices. Changed the stat requirements for Viriditas/Infernal armour (including cosmetic changes). All of the skill level up menus now work with the ‘space to continue’ function. Changed these items to be stackable (unnoted): Vial of Water, CLEAN herbs, and all the ingredients in the Herblore store (+ dragon scale dust). Granite Armor now requires 50 Defence to wield. Right clicking Vannaka to get a task will now have an option to start a Group Slayer task if you’re currently in a party. This will allow you to start & join Group Slayer tasks much easier. Changed the color of the alert for when you complete a Slayer task. Added a Vote Counter along side the Event Counter. Chickens are no longer aggressive. Added Slayer Streaks for every 10, 25, 50 and 100 slayer task completions. (resetting your Slayer task at Vannaka will reset your streak, you’ll get bonus exp and bonus slayer point rewards for hitting a streak. Added the Greater Demon task for Medium Slayer, K’Ril will act as the Slayer task alias. Added Green Dragons for the Easy level Slayer task. 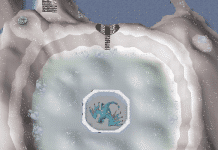 Added Blue Dragons for the Medium level Slayer task, Vorkath will act as the Slayer task alias for them. Added Bandits as a Medium Slayer task. Made Bandits a multi combat zone. You can now exchange Slayer heads with Vannaka for Slayer points. Ring of Forging will now save your Iron Ores 100% of the time and will now disintegrate after 250 uses. Added the Necklace of Aggression. Prestige tier 2 Hunter will now allow you to catch Implings and Butterflies without a net. Added Butterfly catching, the spawns will be added at a later date. All Knifes, Fishing Nets and Poles are now wieldable. Extreme players now get 3m per Prestige while Insane players now get 6m per Prestige. You can no longer open the bank while doing the following skills: Smithing, Woodcutting, Herblore, Firemaking, Cooking, Smithing and Mining. Adjusted the prices for Thieving items and made it slightly better. Dropping items will now reset your Skilling action (woodcutting, fishing, cooking, etc). Clicking on items will now reset your Skilling action. Defence is now twice as effective against NPCs. Added Staff of Light creation. Removed quite a few extra menu options on various items. Trappable objects now interact like gambling flowers do.